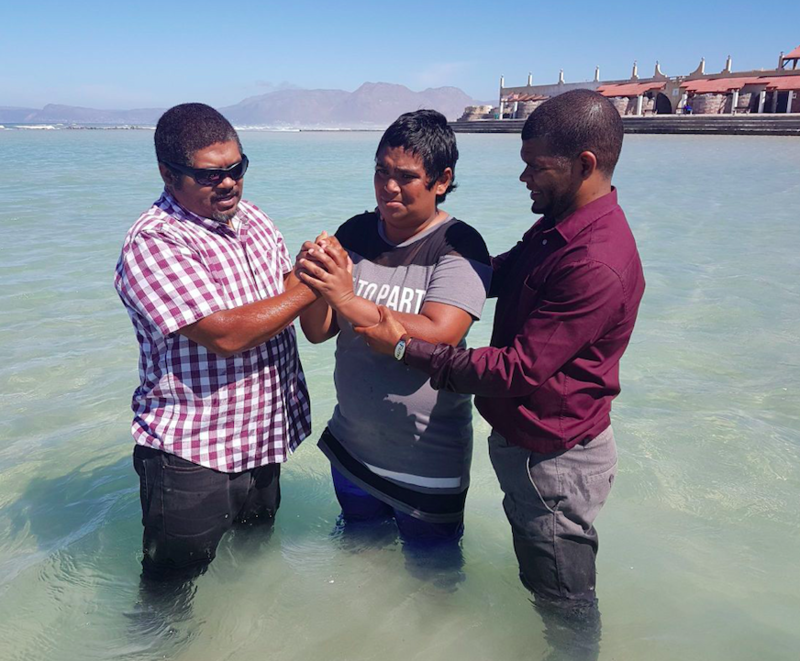 In his year-end report, Mario Maneville shares some incredible stories of lives in his church dramatically transformed by the Gospel's power. This week focuses on men, gangsters and drug addicts, changed by Christ. Next week will focus on women in their church displaying remarkable fruit of the Spirit. Ricky used to be the leader of the 28 Numbers gang - a gang known for violent crime and drugs (like most of the gangs in our area). Ricky’s gang used to be rivals with Theo’s gang - the 26 Numbers gang. Both Ricky and Theo used to be leaders of their respective gangs and they hated each other. In the past they sought to take each other out and both sides had lost friends in gang violence. By grace, the Lord saved Theo (right) first. 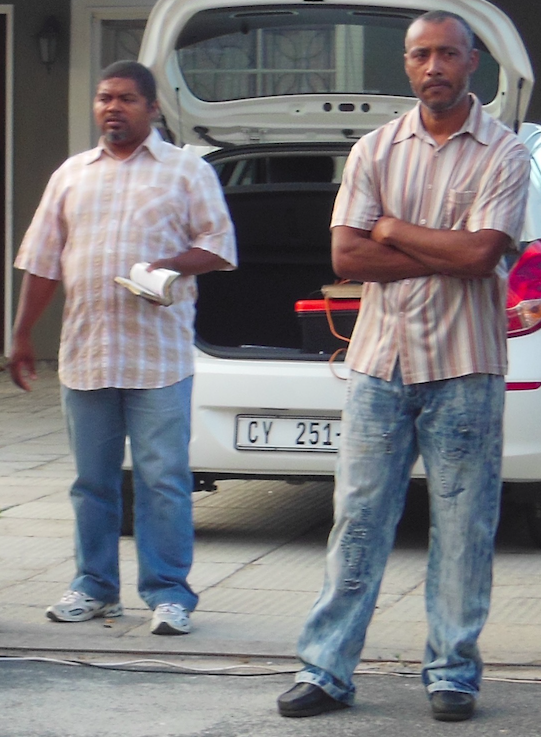 Early last year, Theo reached out to Ricky and invited him to our men’s fellowship. By that time Ricky had left the gang, fearing that harm might come to his teenaged daughter. His son was already in prison, following after his father’s footsteps. Ricky had done what many gang members do - make a profession of faith to get out of the gangs. It seems to be the only way you can leave a gang without getting killed. 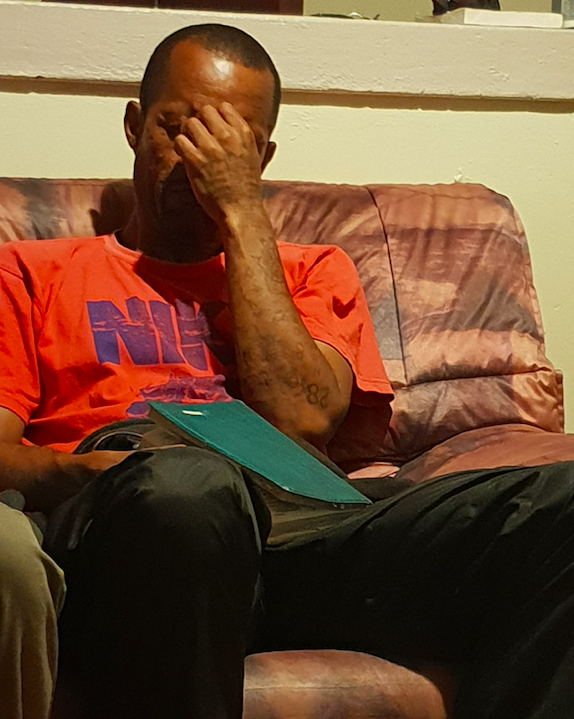 He then joined some christianized cult, but soon after he started visiting our church, Ricky felt convicted that he really did not know the Lord. In May this year, he visited our Sunday evening Bible study. We were working through the 9Marks book, “What is a Healthy Church?” We were discussing church membership and the need for members to confess sins to one another and carry each other’s burdens. 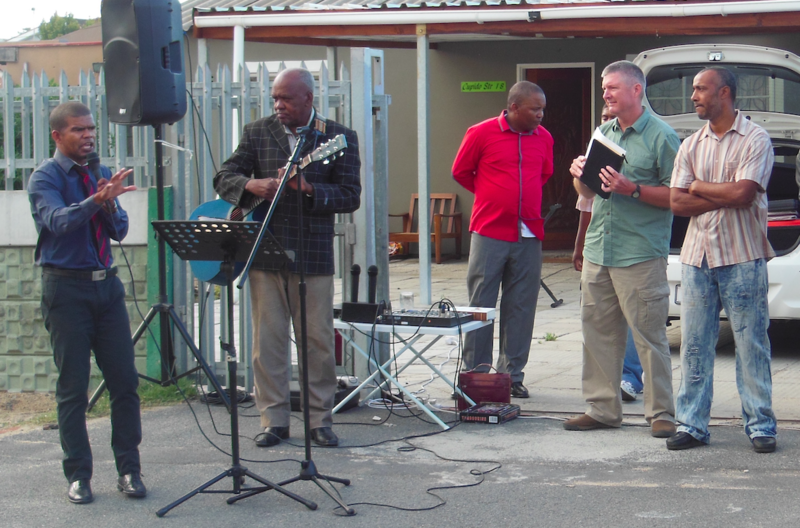 Ricky (below left - praying) suddenly started weeping over his sin, confessing them before everyone, and voicing his need for Jesus. He told the church that he had seen over the past months among us that the people here really love each other and that they are really serious with the Lord. He wanted to be part of that. Donnie, also an ex-ganster and drug addict, put his arm around him like a father would his own son. The church prayed and after this we have seen brother Ricky grow in the Lord with an insatiable hunger for God’s word and prayer. It was just natural for Theo to start discipling Ricky. He is working through the Discipleship Manual that Brackenhurst Baptist donated to our church. Donnie is also meeting with him on a weekly basis. Ricky is faithfully attending every meeting of the church and is growing in the grace of our Lord. 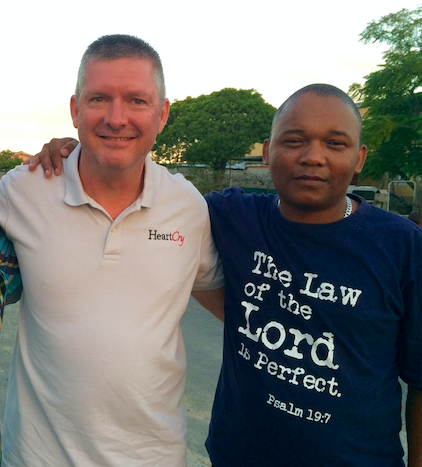 Two men who used to be enemies are now brothers in Christ. Ricky told me that he used to “battle” Theo, but now God made them brothers that love each other. That’s the power of God in the Gospel! If you ever spend time with our church, you have probably met Donnie (right). We call him the 'beloved disciple.' This man is known for being the most gentle and overwhelmingly loving person in our church. He just has a deep love and compassion for people that cannot be ignored. He loves Jesus and he loves the Gospel. Walking with Donnie down the road is an evangelistic event in itself. He always finds opportunity to share the Gospel with those he meets. Donnie is married to Shihaam. Both of them were considered the scum of Bellville South. They were both drug addicts and had eight kids that they didn’t care for. They lost all their kids to social services because of their drug habits. Donnie used to rob pensioners when they got their social government grants. He had no problem beating up an old lady for her money. Praise God that His grace reaches even those who are the scum of the earth! That’s what we all were anyway. The Lord saved Donnie some years ago, and last year on Good Friday, his wife came with him to church. Shihaam is from a Muslim family. After the service she came to me and told me that she asked the Lord to save her while I was praying. My wife and some of the ladies in our church immediately started to disciple her. She rejected Islam and has already started telling her Muslim friends what Jesus has done for her. (left - Shihaam being baptized) The Lord has delivered Donnie and his wife from drugs and has restored their kids back to them. They are a testimony and a light in our community to the glory of our Lord Jesus Christ.